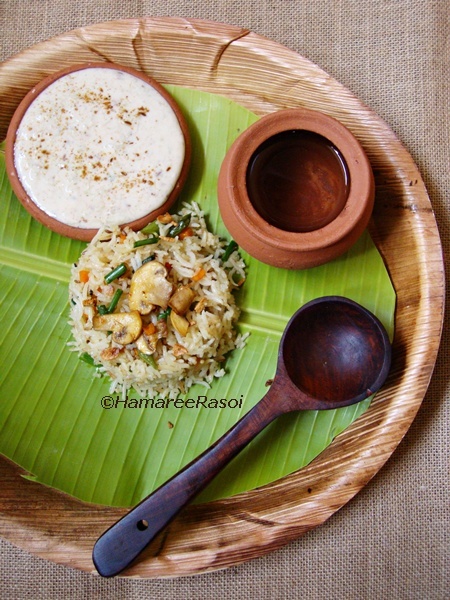 Love the flavor of burnt garlic in rice...just love it..nice wooden ladle in d pic and ofcourse perfectly done fried rice..
Can guess how flavourful this fried rice will be, mindblowing and totally inviting. ha deepa the burnt word got my curiosity hehe this looks yummy here though i m not fond of vinegar or mushrooms at all. now how did u do that? Love the garlic flavour.. fried rice looks so appetizing..
We love garlic! And lots of it in fried rice, looks delicious! I had the burnt garlic fried rice in a restaurant in Bombay it tasted delicious I am sure this one will also be the same. like the way food is presented.. very flavorful rice.. I always make fried rice this way,just lov the burnt flavor...Nicely presented..
Looks too yumm and Deepa just loved the presentation! I can actually taste this fried rice! Looks yum Deepa and i love your presentation, fried rice with a very desi twist! Amazing dear. Mouth watering dish. Looks really delicious. Nice snaps. Yummy recipe...love garlic in fried rice...looks absolutely delicious. I like that roasted garlic flavor. Delicious Deepa. Ufff it's been little long since I came to your cute space Deepa. Been wanting to see variation in fried rice, loved the burnt garlic fried rice version. Will try it out soon n let you know dear. Beautiful props. First time here, lovely, lovely blog space. Thanks for stopping by at my place. Sounds so full of flavors and delicious. wow!very delicious and flavourful..lovely presentation! I can smell the aroma...yumm.. I just love the taste and flavour of burnt garlic.. yummy!! Wah Bhai Wah Deepa ,amazing pics yaar. Absolutely love the presentation and superb clicks as well. I'm still trying to get a handle on food styling and presentation myself. 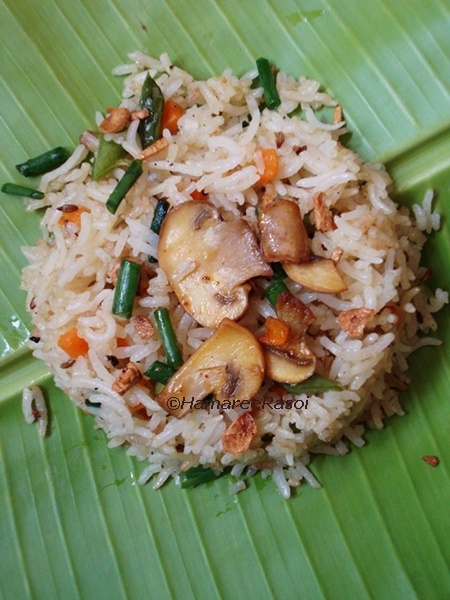 Ur Burnt Garlic vegetable fried rice looks delish...especially the addition of mushrooms has made it utterly delicious. 2queries : from wr u got peppermint extract? from wr u got heavy cream?? Wonderful Earthen presentation. Each and every pick is so nice. 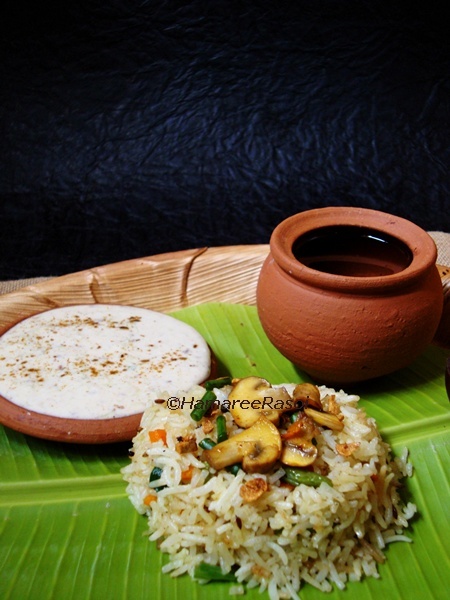 I din't try burnt garlic in rice items, delicious recipe. Oh dear, this looks so good! Fantastic recipe and wonderful presentation! Love the flavor of burnt garlic. Great presentation. Superb. fact that I stumbled upon it for him... lol. So allow me to reword this. What's up, I check your blog like every week. Your story-telling style is witty, keep up the good work!